IRVING, Texas, September 15, 2017 – The American Recovery Association (ARA), the world’s largest association of recovery and remarketing professionals, is excited to announce a new partnership with Recovery Database Network (RDN). RDN, a business unit of KAR Auction Services (NYSE: KAR), is a specialized provider of software and data solutions related to the recovery of assets for the automotive finance industry. The agreement will help lenders manage and monitor vendor compliance by integrating ARA’s Compliance Monitoring System and compliance metrics with the various software solutions offered by RDN. There are currently nearly 150 lenders already utilizing both the RDN and the ARA systems. These lenders, as well as repossession agents within the industry, can benefit from this partnership. For more information about ARA, its partnerships and its member benefits, please visit repo.org. American Recovery Association (ARA) is the world’s largest association of recovery and remarketing professionals. ARA members specialize in locating and repossessing collateral on behalf of lending institutions, including banks, savings institutions, finance companies, credit unions, rental/leasing companies, and auto, truck and equipment dealers. ARA is a nonprofit association whose members serve 27,000 national and international cities. All members are certified independent business operators. For more information, call 972.755.4755 or visit the website at www.repo.org. 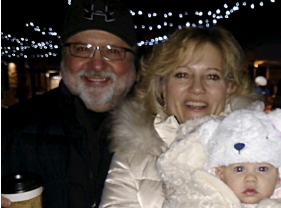 This month’s member highlight is on Russ and Lauren DeWitt of Capital Adjusters, Inc., in Austin, Texas. Capital Adjusters was founded in 1975 and Russ, who has been with the company since 1976, is the current owner and president. They were the first company in Austin to join ARA and have been outstanding members ever since. Russ, Lauren and their son Steven were recently awarded as Humanitarians by their church for their selfless contributions toward the betterment of mankind. Along with making sizable monetary donations to various church programs in their community and around the world, Lauren has been able to use her training as a pharmacist to act as medical director for Citizens Commission on Human Rights – a non-profit organization that exposes psychiatric abuses with the goal of cleaning up the field of mental health. Through her efforts, psychiatric abuses in Texas have been exposed and the offenders stripped of their licenses, and in some cases imprisoned. She has also been featured in two documentaries exposing these abuses. Along with working nights and weekends at his church, Russ traveled to Berlin to help end religious discrimination in Germany, participated in disaster relief in Texas, and testified before the Texas legislature to help ban electroshock and forced drugging of children in Texas. Lauren was also part of the volunteer minister relief efforts in Louisiana after Hurricane Katrina devastated New Orleans. Their son Steven does volunteer work at the Church. Thank you Russ and Lauren for being outstanding ARA members and for doing such amazing work in your community. Register for the August webinar! Aug 23, 2017 • ARA News and Events • Comments Off on Register for the August webinar! American Recovery Association offers a free monthly webinar as part of its new continuing education series to help recovery and remarketing professionals stay plugged into the most current industry rules, regulations and compliance requirements. The August webinar, led by Doug Duncan of TalentValue, will focus on finding good employees in a tough recruiting market and integrating the ARA compliance process with the TalentValue HR Compliance process. American Recovery Association provides a free continuing education webinar series for recovery and remarketing professionals. The one-hour webinar offers education about the latest recovery laws and regulations, compliance policies and industry issues.This presentation is geared towards owners, managers, employees, and field agents. ARA members must register online for the webinar with individual email addresses to receive a certificate of completion. If computer sharing is necessary, please provide a list of employee names and email addresses in an excel spreadsheet to tricia@americanrecoveryassn.org. We had a wonderful time at NARS 2017 and hope you did too. Each year, we strive to make the event even bigger and better than before. From the networking and fun during the NARS Golf Tournament, the AT&T Stadium Tour and the DRN sponsored Patriot Party, to the roundtable sessions and dynamic speakers, there was never a dull moment. Attendees left the summit with key takeaways to bring to their businesses, inspired to finish the year out strong. Here’s a look at all the fun we had at NARS 2017. 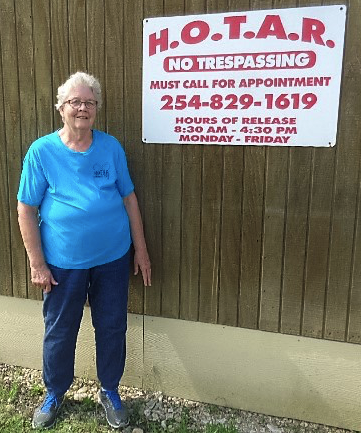 This month’s member highlight is on Cindy Smith of Heart of Texas Auto Recovery (HOTAR) in Waco, Texas. In February 2013, Cindy bought HOTAR from her daughter, Karen Garner. She had worked for Karen for five years before buying the business, which has been in operation for thirty-three years. In May of 2013, Cindy was diagnosed with breast cancer and had surgery shortly thereafter. With faith in God and the help of her employees, she kept the business going. Cindy has been cancer free for four and a half years now, and business has grown since she took it over. Her agents and office personnel work hard to make sure every assignment they receive is handled professionally. Her husband Elmer is the yard man and sees to it that they are able to get in and out as quickly as possible. Every year, HOTAR makes a donation to the George Meyer Scholarship Fund for local graduates at Riesel High School. The whole community comes together for a benefit run/walk with a party afterwards to generate money for the fund. They give five scholarships to the class each year at graduation. Thank you, Cindy and everyone at HOTAR for being outstanding ARA members and wonderful people. This presentation is geared towards owners, managers, employees, and field agents. ARA members must register online for the webinar with individual email addresses to receive a certificate of completion. If computer sharing is necessary, please provide a list of employee names and email addresses in an excel spreadsheet to tricia@americanrecoveryassn.org. 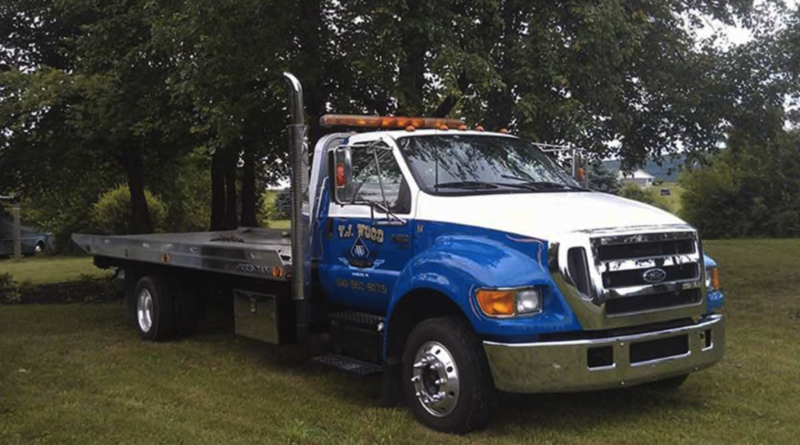 This month’s member highlight is on Vreeland Wood of VJ Wood Towing, Recovery & Repair, a third generation, family owned and operated towing and recovery company located in Hamburg, PA.
Vreeland and his wife Linda are very involved in their local community and have just donated land for use as a community garden. They also serve on the Board of Directors of “The Our Town Foundation,” a non- profit community economic development organization. This foundation not only helps the city maintain its properties, but also hosts several local festivals, including the famous “HAMBURGER FESTIVAL,” which garners around 40,000 people! Mr. Wood is the operations chairman and serves on the council at his church. He is also on a committee helping to purchase and restore their local theater, “Hamburg Strand,” an icon in their city. For the past 12 years, Vreeland and his wife have enjoyed traveling many states with 2 of their 6 kids with their “RepoZest Drag Racing Team,” and are the proud grandparents of 7 grandchildren under the age of 3 l/2 years. Thank you Vreeland, for being an outstanding ARA member! This month’s member highlight is on David Landy of Universal Auto Recovery in Detroit, Michigan. David has been an ARA member since 1985 and is heavily involved in the Detroit community. He and his wife Carolyn are actively involved in their church, serving as deacon and chaplain. For the last 10 years, David has facilitated a group called Celebrate Recovery, an outreach program for those living in the inner city who are struggling with various problems, ranging from hurts and hang ups to addictions. Outside of this ministry, David and Carolyn enjoy fishing, hunting and competitive archery. They have six children and five grandchildren, with another grandbaby on the way. Thank you, David, for being an outstanding ARA member for the past 32 years! State of the Association talk where we will discuss the bond issue, ARA Convention plans, and provide updates on client contracts for the ARA Compliance Monitoring System.